The Magnum 2500 Hz uses a newly-developed 900 W heat exchanger to produce a massive 2500 m3 of haze, which is then evenly distributed by the integrated effect fan.The Magnum 2500 Hz is a plug-and-play, easy-to-use hazer suitable for DJ’s, smaller venues, bars, and clubs. With a large fluid container and optional DMX interface the hazer is ideal for temporary use or fixed installations. The Magnum 2500 Hz comes complete with all the technical excellence you expect from the Magnum range. Built rugged, the Magnum 2500 Hz is ideal for discrete floor placement, with the advantages of easy access. Featuring the same machine-saving overheat protection as Martin’s other fog and haze machines, the economically-priced Magnum 2500 Hz will provide years of maintenance-free operation. Add the optional DMX interface for increased flexibility and easy remote programming and control. 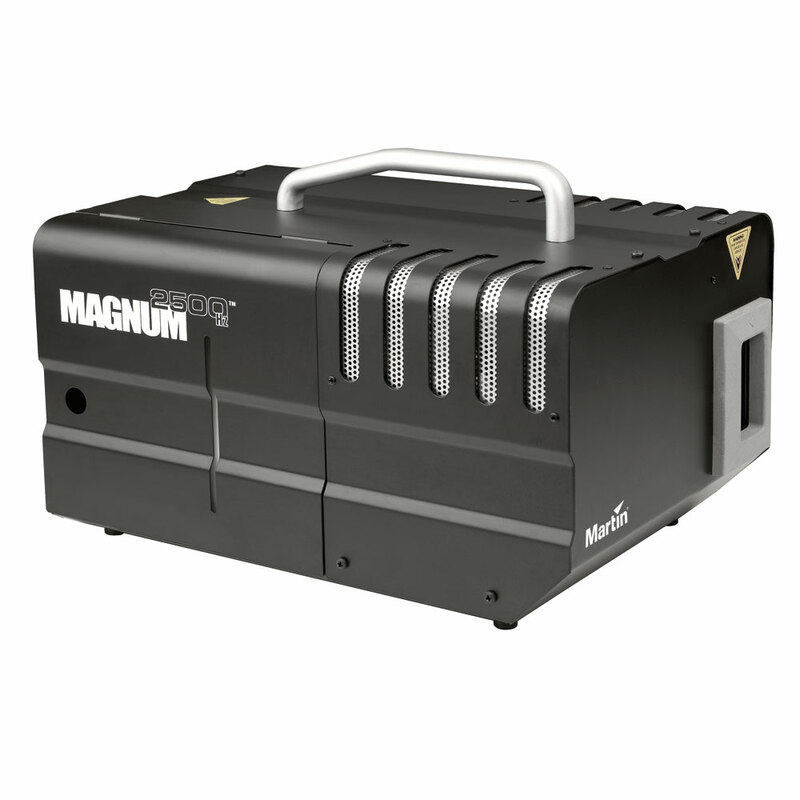 The Magnum 2500 Hz has a 3.8 liter fluid reservoir and is capable of generating a uniform canvas of haze, using RUSH & THRILL Haze Fluid - Specially formulated and water-based, all Martin fluids are effective, safe, and economical. Approvals EU model EU safety: EN 60335-1+A15, EN 62233 EU EMC: EN 61000-6-3 EU immunity: EN 61000-6-1 Australia/NZ (pending): RCM US model US safety: UL Std. 998 Canada safety: CSA Std. C22.2 No 104-01 Calibration factors have been developed and approved by the Actors’ Equity Association and the Broadway League for use in measuring theatrical haze with the Magnum 2500Hz and RUSH & THRILL Haze Fluid."